Last week I wrote all about the history of the A. Wittnauer Company. A few days later I saw this beautiful piece come up for sale over at analog/shift and I just had to share. This watch reinforces the point I made at the end of the Wittnauer article that you should never judge a piece based on brand recognition alone, it's all down to craftsmanship and design. As analog/shift so eloquently wrote on this watch's description, "we are reminded that there was a time, not so long ago, when men were measured by their deeds and remembered for their daring. 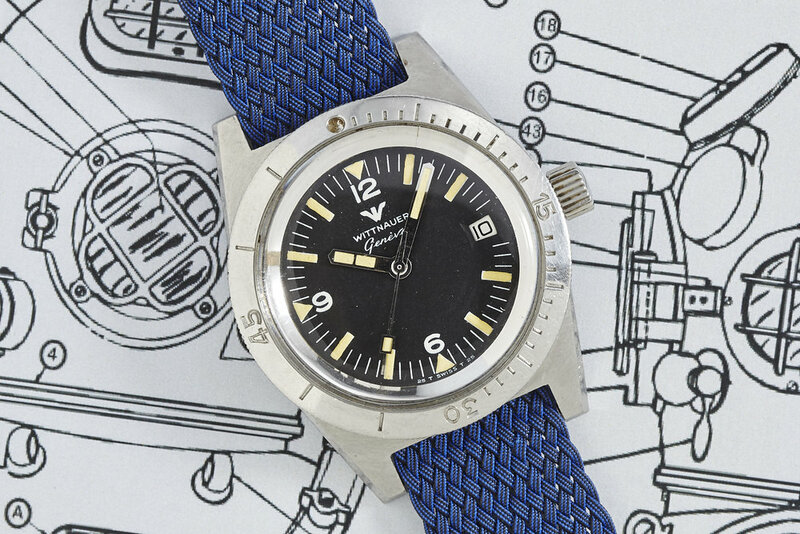 With their simple and clean designs and their reliable and robust movements, the tool watches of the 1960s and 1970s were built to accompany the adventurer across the globe and to keep time at its great heights as well as its dark depths." In terms of pure form meets function, this watch is simply brilliant. I love the subtle lume break on the hour hand so that whilst underwater the two hands can be easily differentiated. I love that the lumed pip on the second hand is so precisely measured that it just touches the edge of the hour markers. I love the asymmetrical bezel design of the dive markers with half of the bezel separated into minutes and the other half into five minutes. Is that a strange thing to love? Probably, but I don't care. The inky black dial is perfectly complemented by the eggshell-like patina that has formed on the hour markers and hands. You couldn't ask for a more even patina than that! (One of these days I'll do an article about tritium/lume, something that interests me to no end). 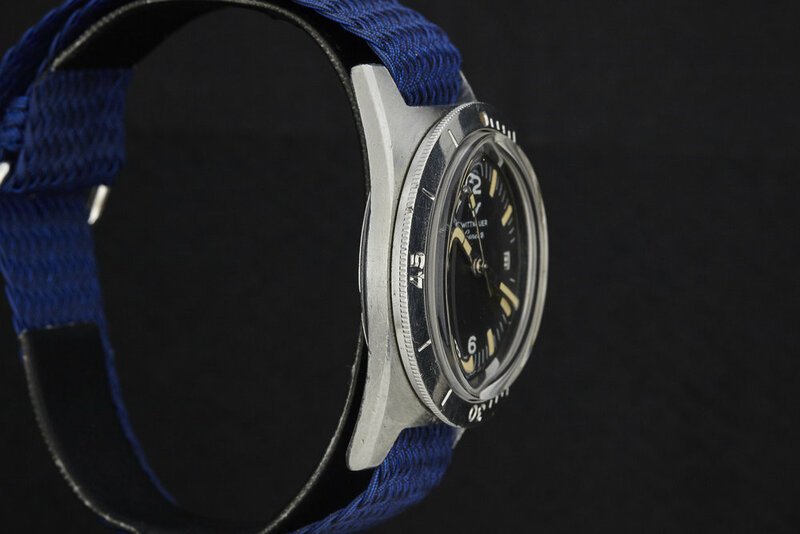 What makes this piece even better is the size: a comfortable 38mm, so unlike its modern diving contemporaries the Wittnauer will sit comfortable on any wrist. Some small scratches that don't detract from the appeal of this watch. Photo courtesy of Analog/Shift. 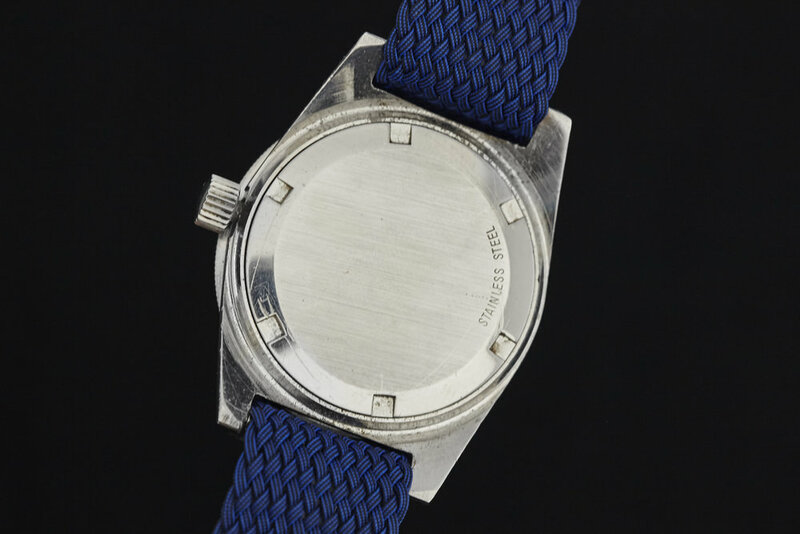 When looking at this watch I see the fulfillment of the dream that Albert Wittnauer set out with in 1880: to make an affordable Swiss watch that was reliable and durable enough for the American market. Judging from the photos and item description, this piece seems to be in amazing condition given that it's over fifty years old. There are some slight scratches over the case back where someone has attempted to get the back off and slipped (it's easy to do, I've been there). The biggest point of note is the missing lume dot on the diving bezel, but frankly I don't think it matters all that much. It shows that this watch was actually used as a functional piece of equipment which in my opinion only adds to the appeal, especially when you consider everything here is original: hands, dial & crown. Enjoyed what you just read? Why not subscribe and never miss another article ever again?